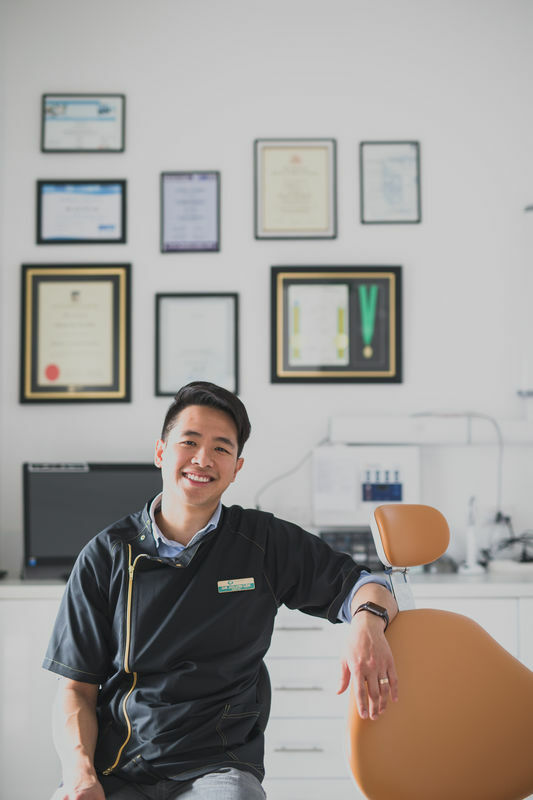 Having graduated from the University of Adelaide in South Australia, Dr Jolvin Lee decided to pursue his career in Melbourne and has been working in private practice ever since. His gentle nature and charismatic approach has led to many of his patients following him, despite him moving practices. They feel that he is trustworthy, capable and someone that will do his utmost best for his patients. Born into a diverse background, he understands different cultures and enables him to speak different languages. Dr Jolvin Lee regularly updates himself with the latest technologies and the certificates displayed on his wall are a testament to his commitment to Dentistry. He has a particular interest in Orthodontics ( Braces ) and Smile Makeovers, and the best part is, he doesn't charge specialist prices. Outside of work, Dr Jolvin Lee is a happily married man whose passion is in travelling, table tennis, tennis, golf, swimming and of course, his family. He is also a committed church-goer. With a gentle and calm demeanour, Dr James will be happy to discuss all treatment options and provide high quality care best suited to each individual patient. Dr Emma Chang graduated from La Trobe University in Bendigo with a Bachelor of Health Sciences in Dentistry and Masters in Dentistry. She spent a number of years working in Albury Wodonga in private practice gaining broad experience in general dentistry. She is excited to have returned back to her hometown Melbourne and to be part of the team at Tooth Heaven. Known for her caring and gentle nature, Dr Emma finds it particularly rewarding to work with children and nervous patients. She enjoys spending time getting to know her patients and alleviating any anxiety through easy to understand treatment plans suited to each individual. Dr Emma regularly attends continuing professional development to ensure she is consistently delivering excellent dental care and is trained to provide patients with nitrous oxide conscious sedation. Outside of dentistry, she loves spending quality time with family and friends whether it be through travel or good food. Dr Emma also has a soft spot for dogs and is the loving owner of two miniature poodles. If you ask the dentists and staff at Tooth Heaven where they get their teeth cleaned, it will be with Caitlin. Her gentleness and thoroughness have been widely praised and she has patients travelling long distances to come to see her. Caitlin graduated from La Trobe University, Bendigo, with a Bachelor of Oral Health Sciences and has now moved back to her home town Melbourne. She is dually qualified in both dental hygiene and dental therapy including an extended scope of practice in adult dental therapy. Caitlin has particular interests in orthodontics ( braces therapy ) as well as periodontics ( gum therapy ). In fact, she's our go-to person if anyone suffers from any gum issues. Caitlin has gained experience working across rural Victoria and completing an international placement in New York City. Bubbly, friendly and compassionate are just some of the few words to desribe Sonia. One of our patients even call her " best dental assistant ever "
Fluent in Spanish, Italian and Greek, she's usually the first person you speak to when you ring our clinic! This lovely person speaks multiple languages and is as friendly as she comes. Beautiful personaiity and the easiest person to talk to. Look at that smile. We think everyone should have a great smile like hers !